Point Roberts, WA, Delta BC –November 22, 2016 – Investorideas.com, a global news source and investor resource issues an interview with ProColombia's President, Felipe Jaramillo, appointed in June of 2016. ProColombia is the government entity in charge of promoting international tourism, exports from the country and the attraction of foreign investment and the country’s brand. Felipe shares his first impressions as he came in to the ProColombia organization and what he is seeing and thinking now as he gains deeper first- hand insight of Colombia’s opportunities and challenges. With extensive management experience in the private sector, Felipe Jaramillo is a Psychologist from the University of Los Andes, holding a Master’s degree in Public Administration from the London School of Economics and Political Science, with a Specialization in Strategic Marketing from CESA. Between 2004 and 2009, he served in management positions in communications and advertising at J. Walter Thompson, BBDO Sancho Colombia, and the multinational Havas. In 2009 he founded NeuroFocus Colombia, the first Latin American company specializing in consumer neuroscience, which was later acquired by Nielsen in 2013, a leading global marketing company, where he then lead several projects serving as Director for Latin America. In June of 2016, Felipe was appointed President of ProColombia and charged with the challenging task of increasing the promotion of exports, foreign investment and tourism, at a time when Colombia is on the verge of a peace agreement and a post-conflict process that requires both business management and international cooperation. Point Roberts, WA, – November 2, 2016 – Investorideas.com, a global news source and investor resource issues a sector snapshot for the luxury real estate market with expertise from realtor Joyce Rey who has built a worldwide reputation branding her as the ‘Billionaire’s Broker’. Joyce can you tell us based on what you are seeing, what the key factors are in selling luxury real estate properties today and how much of an influence international buyers are? A: Our current luxury market is very strong on the entire West side of LA. The two key factors in selling luxury real estate today are the importance of knowledge of available properties (as so many of them are not publicly listed) and tracking confidential comparable sales information. Another important factor is the luxury buyers’ need for privacy and discretion on the part of their agent. International buyers have a significant impact on our marketplace. They do constitute a minority each year but their percentage does increase in the higher price ranges. The three record breaking sales this year in the $100M price range were all American buyers. How much of a factor does location and building prestige play in this segment and what else can get someone to push the button and buy a home over $10 Million? A: The old adage – location, location, location - is always proven true as it is normally a buyer’s #1 consideration. Naturally prestige plays into the choice of location. The other factors that are extremely important to luxury buyers are city-ocean views, certain style choices and newer construction. Buying a home that is available with beautiful furnishings is also very attractive as it offers an instant lifestyle. It was just announced a few days ago that Coldwell Banker Real Estate LLC, a global leader in luxury home sales, has enriched its Coldwell Banker Previews International® luxury program by elevating its Previews® agent certification program, expanding global marketing offerings and cultivating growth in its digital and print content. What does this tell you about the optimism for the sector? A: Coldwell Banker is always on the cutting edge in emphasizing the luxury market worldwide with a network of 84,000 sales agents worldwide. I have been proud to head the Estates Division for Coldwell Banker for nearly 20 years in the Beverly Hills region and have personally been responsible for many record breaking transactions. Narrowing in on the market in California and in particular Beverly Hills, what are you seeing? A: Beverly Hills seems to lead the market with foreign sales as the city is known internationally both for its prestige, fine public schools, excellent police force and extraordinary shopping. The inventory in the Beverly Hills community is extremely limited. The demand is great; therefore, prices are increasing. Can you tell us about some of your current listings and what sets them apart for a distinctive buyer looking in this price range? A: One of my favorite listings is an acre and a half beautifully placed at the top of Benedict Canyon with stunning views of Beverly Hills and Bel Air. Just completed, this amazing European villa captures the essence of old world charm but with every modern convenience. Beautifully designed with high ceilings, inlaid parquet floors, fabulous screening room, infinity edge pool and sensational master suite, this property epitomizes the ultimate indoor-outdoor California lifestyle combining both privacy and elegance just a short distance from Rodeo Drive. My newest listings and one of my most unusual ones is a 4.5-acre property that includes a 1.8-acre parcel with a stable under construction. The house itself leads up to the Will Rogers State Park and polo field. At the end of a private road, the property has exceptional grounds. The construction was just finished last year and it has a unique style and sophistication with two separate guest houses. Also, I have listed a very glamourous architectural retreat overlooking the Sunset Strip adjacent to Beverly Hills with walls of glass and an exquisite all glass stair case. I have also listed the exceptional Harry Warner estate filled with Hollywood history where Marilyn Monroe once stayed in the guest house. You might have recently seen this property on the People vs. OJ Emmy-award winning television series as it was used as OJ’s house. It has a fabulous 35mm screening room, championship lighted tennis court, beautiful ground and spacious bedroom suites. The property is ideal for entertaining and full of authentic charm with hand carved oak detailing. Can you give us insight over the past ten years, surviving the recession and what you think the future holds for this sector? A: The recession hit us with a jolt in the October/November months of 2008. I lost over $35M in escrows. Many buyers walked away from substantial deposits rather than close escrow. Interestingly enough, looking back 2009 and 2010 were incredible buying opportunities, because most buyers were apprehensive about the market and prices had dropped significantly. It’s always smart to buy when other people aren’t. It also takes courage! Prices have steadily increased since that time, however, the price per square foot in luxury properties in the Beverly Hills/Los Angeles neighborhoods is still far lower than any other major city in the world--even our American competitors. So I anticipate a strong market in the year ahead. In closing, if someone wants to become a realtor in this specialized sector, what does it take to be successful? A: #2-The number one answer is hard work. It is much more difficult to get started in today’s market than when I began over 40 years ago. Worldwide marketing is a necessary component and is very expensive. Contracts are far more complicated and clients gravitate to agents with experience and good reputations with a large client base. It’s important to start with an excellent firm and often helpful to associate with a well-known realtor that can assist you in a rather lengthy learning process. The luxury clientele is extremely demanding and expect a very responsive and knowledgeable realtor. Every day of Advent a sweet surprise, free of sugar and artificial sweeteners, while saving 1,000 calories. Cambridge, 2 November 2016. 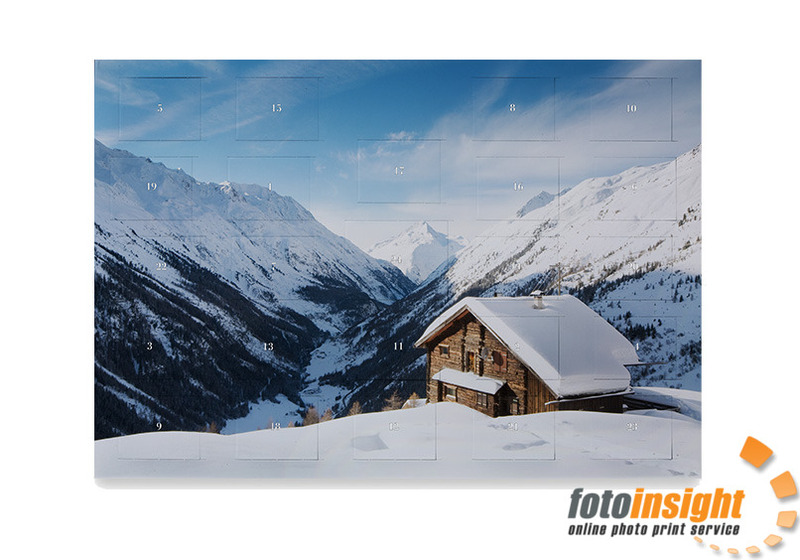 - The photo printing specialist FotoInsight launches a new, larger photo Advent calendar this season, in which, personal moments recorded in photographs replace the calorie bombs behind the traditional 24 doors. With 25 own images, the new photo Advent calendar presents a unique alternative to cheap chocolate calendars off supermarket shelves. An Advent calendar that meets the challenges of our time! Many Advent calendar enthusiasts wonder how to create a calendar for their loved ones that meets the challenges of our time. Health conscious consumers want to give fewer carbohydrates and less sugar, but more shared time and shared experiences. The zero-carb Advent calendar stocked with own photographs is supporting this trend with the possibility, for example, to reflect the events of the outgoing year with two pictures for each month. photo calendar provides a large picture in brilliant print quality on the cover, plus 24 doors, concealing for example a review of the year in pictures, inspiring words or gift vouchers. A delight for lovers, families and people who are close. This new photo Advent calendar is the ideal gift idea to the bring loved ones into festive mood. The photo Advent calendar will bring the recipient joy on every day of Advent. 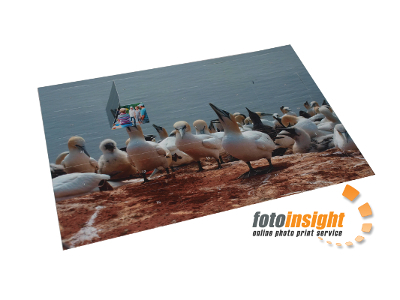 To make a photo Advent calendar, it suffices to upload 25 landscape format pictures through FotoInsight’s website. For this type of photographic calendar, smartphone snapshots are often well suited for a surprise memory, concealed by the Advent calendar doors. Images can be put in free order. The photo lab delivers the professionally printed calendar within six working days. Material: High-quality, stable cardboard with a satin finish (300 g / m²); scratch proof and washable. FotoInsight Ltd was founded in Cambridge thirteen years ago and runs an easy to use photo processing service for Windows, Mac OS and Linux users. It offers an extensive array of award-winning photographic print and photo gifts as well as photo books, photo posters and photos canvas print. Prints ordered through FotoInsight are developed at five state-of-the-art photo labs in four countries. The online photo service has grown year on year faster than the photo processing industry and has expanded its services in seven European languages in thirty-two countries.